These arithmagon puzzles challenge children to use their brains, and their maths skills! They are a great filler activity for the classroom, or to get the children thinking again before going back to school after a break. Here is a blank template for you to create your own arithmagons using addition facts - perfect for when your child is struggling with a particular number bond or needs more practice than we have already provided. Here's a second set of easier arithmagons for the kids to puzzle over. The kids will need some good maths skills to work out the correct numbers to fill in with these slightly tricker arithmagon puzzles. Here are four pages of "easy" arithmagons - that's 16 puzzles in total - all working on facts up to 10. They are an excellent way to practise simple number bonds and help kids with early addition and subtraction skills. This pack of 16 arithmagons (over 4 pages) helps children learn their addition and subtraction facts up to 20 - in puzzle format. It's a great way to learning maths into a fun challenge for the kids. Our third pack of arithmagons focuses on addition facts up to 50. There are 16 puzzles over 4 pages, starting with easier facts on page 1 and then providing a random collection of facts to really challenge the kids! 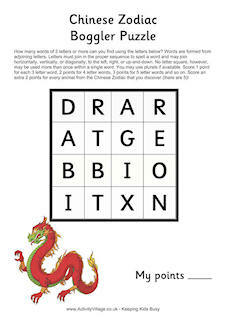 This pack of arithmagons - 4 pages of 4 puzzles each - features maths addition facts where the sum is between 50 and 100. We start off with some gentle sums on the first page, using 5s and 10s - but after that the kids will need to get their thinking caps on. This is the easiest of our Christmas Arithmagons worksheets. Can the children fill in the missing numbers on the Christmas Trees using their maths skills? Can the children use their multiplication skills to fill in the missing numbers on the Christmas tree Arithmagons?